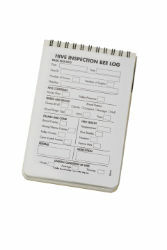 The beehive log will help you keep track of your hives in all weather conditions! Featuring Rite In The Rain® patented water-shedding paper; these notebooks are usable even in the heaviest of rains or the humid of days. Record and measure all of your hives’ most important details. Each log has 100 pages.